In 2015, DJI teamed up with ABC's Good Morning America to create history. For the first time ever, we live broadcasted from inside a volcanic eruption, the Holahraun volcano on Iceland to be specific. 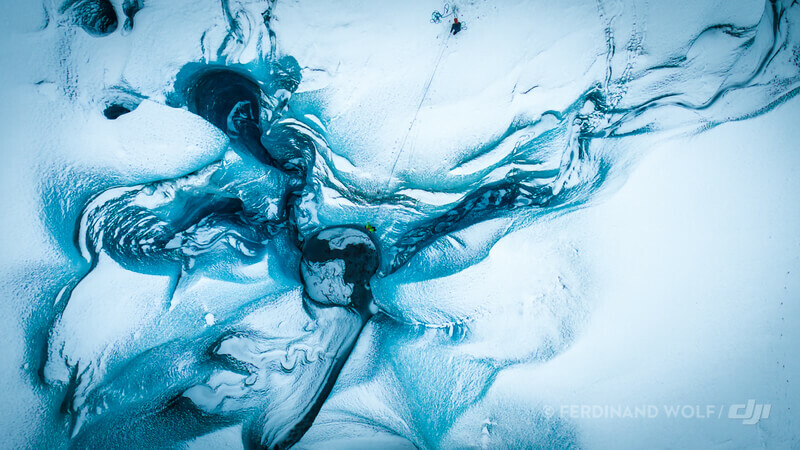 Despite the extreme temperatures and high winds, our Inspire 1 streamed video smoothly to an audience of 6 million, showing a seismic phenomena in a way that has never been seen by large audiences before. 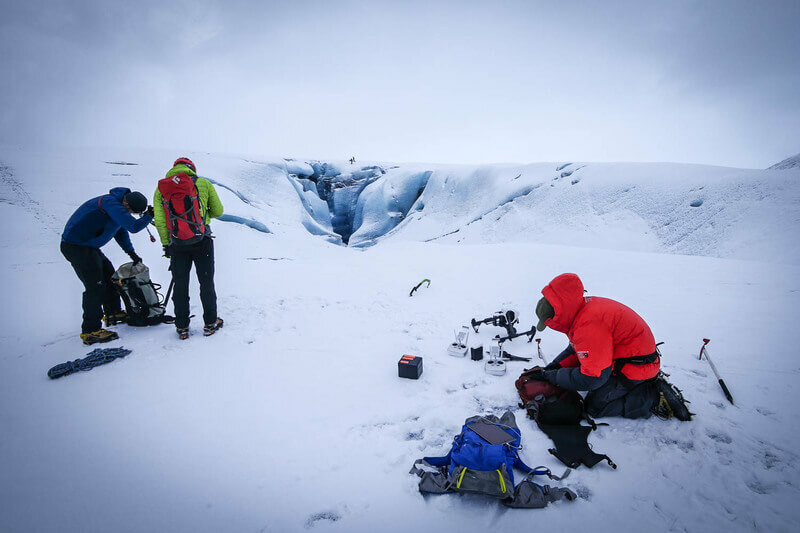 In January, we returned to Iceland, once again in collaboration with Good Morning America and with a new mission: to live stream a journey through a remote glacier, Vatnajökull. With a surface area of about 3,100 sq mi (8,100 km^2) it is one of the largest glaciers in Europe, covering no less than 8 percent of the country. 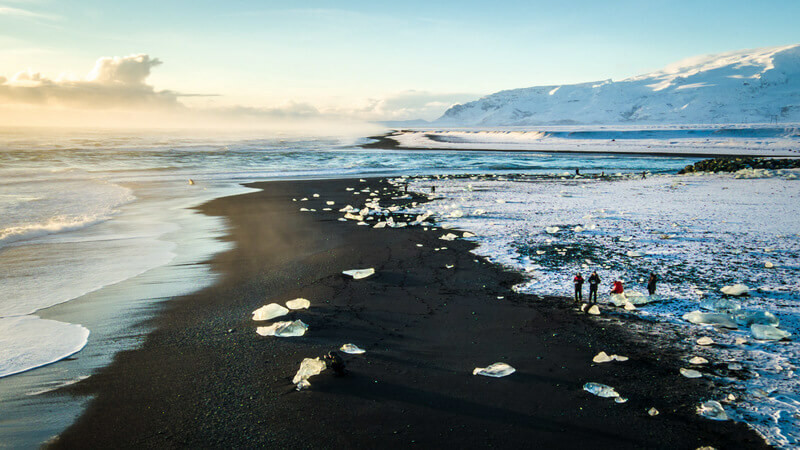 It is home to some of Iceland's most stunning sights, including the active volcano Hvannadalshnjukur, magnificent waterfalls including Dettifoss, Europe's most powerful waterfall and breathtaking canyons and glacier lagoons. Few ever get to experience the striking beauty of this landscape, and our goal was therefore to share this beauty with the world. During the month of January sunlight is limited, with only four hours of natural light per day. This meant our team had to work quickly and efficiently, and all our equipment had to perform flawlessly. Each day, they travelled to and from their base camp to the glacier in pitch black dark to be ready to film at the break of dawn. They also brought with them several Osmos and accompanying accessories including the Vehicle Mount, with which they mounted to their car as they travelled. With wind gusts reaching up to 100 miles per hour, the production was made more difficult than expected. The team had to make a bet on the best day for broadcasting, hoping to strike the best balance between wind and lighting conditions. 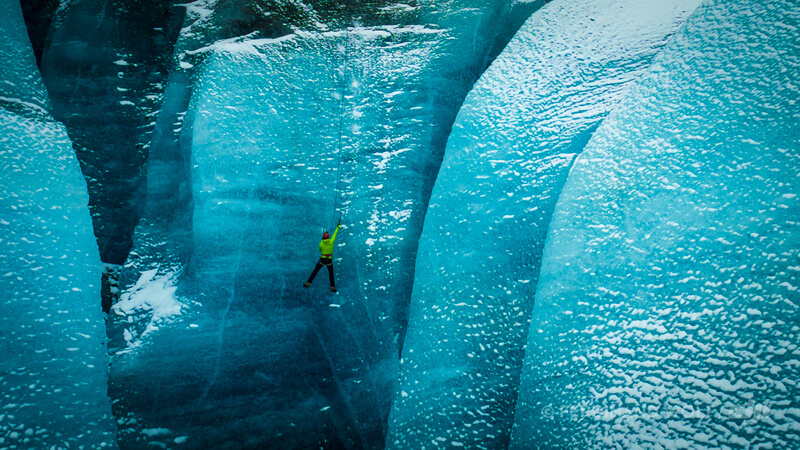 One of the main highlights of the broadcast was to capture a pair of climbers as they descended down the glacier and show how changes in the global climate affect the glacier. By using two Inspire 1 Pro platforms, we were able to switch between different camera angels to accurately portray the depth of the crevasse. These are shots that traditional camera equipment has never been able to capture and broadcast live. In addition to the glacier, we had the chance to explore the otherworldly landscapes of Iceland more thoroughly, including the black sand beaches of Reynisdrangar, and the Svinafelljökull glacier, which you may recognize from the movie Interstellar. Ultimately, DJI and Good Morning America went into this project with the aim of showing the impact of a warming climate to the world. There is no better way of illustrating that, than by standing on a melting glacier. See for your self.